Literary legend Charlotte Brontë helped murder the rest of her talented siblings, according to a new book. The Crimes of Charlotte Brontë dispels the popular belief that the authors of Wuthering Heights, Jane Eyre, Agnes Grey, Villette and the Tenant of Wildfell Hall were three demure sisters, devoted to their widowed father, literature and each other. 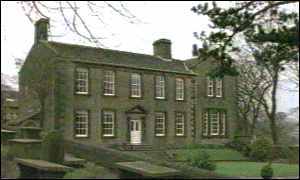 Instead it claims that their Yorkshire parsonage in Haworth was the centre of intrigue, lust and murder. It says that Emily, Anne and Branwell Brontë were all poisoned by their father's curate Arthur Bell Nicholls, aided and abetted by Charlotte. Charlotte later married Nicholls before herself succumbing to poison at his hands the following year. The book, which is published on 26 August, has been written by James Tully, a criminologist with a specialist knowledge of 19th century poisons. He says he has been fascinated by the lives of the Brontës since visiting Haworth many years ago. But only since his retirement has he had the time to investigate their intriguing lives. "I find it very coincidental that three women in their late 20s with very little formal education should each write a bestselling book in the same year that the handsome young curate arrives, and that within nine months all three are dead," he explains. The Brontë sisters were in all their 20s or early 30s when they died. It has always been supposed that they were the victims of tuberculosis or asthma, brought on by their delicate constitutions. But Tully paints a far more sinister picture of a jealous Charlotte who helped Nicholls poison her brother Branwell, then Anne and Charlotte, in order to inherit the royalties from her sisters' masterpieces. Her treachery backfired when she too became the victim of the murderous, greed-driven Nicholls. The story is told in the form of a novel after a factual version was rejected by publishers. Some people are still reluctant to accept Tully's versions of events. Bob Bannard of the Brontë Society dismisses his account as nonsense. "It has no basis in fact whatsoever.There's no one in the world, not even Mr James Tully himself, I suspect, who really believes that Charlotte Brontë poisoned one of her sisters, was the accessory to the poisoning of the rest and eventually got poisoned herself," he says. Emily and Branwell Brontë both died in 1848. Anne Brontë died in 1849 while Charlotte died after a painful illness in 1855. Besides rewriting the reasons for their premature deaths, Tully also claims to have uncovered other tales of illicit sexual relations, blackmail and alcoholism at Haworth. The house still attracts more than 850 Brontë fans a year from all over the world who come to learn more about the sisters. And although there is plenty of documentary evidence charting their lives in Yorkshire, Tully's book could raise many fresh questions.